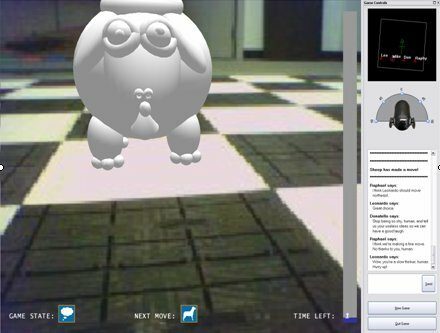 Abstract: This project is designed around the concept of playing board games involving collaboration between humans and robots in a shared physical environment. 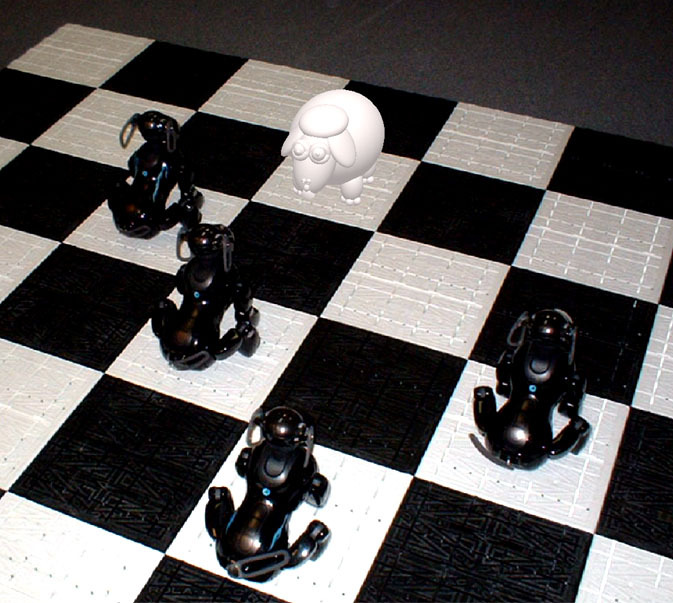 Unlike the classic human-versus-machine situation often established in computer-based board games, this project is intended to be used as an interaction test bed which takes advantage of the rich interaction opportunities that arise when humans and robots play collaboratively as a team. 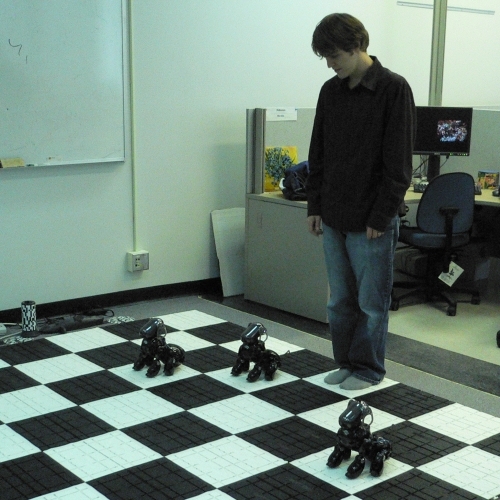 To facilitate interaction within a shared physical environment, the game is played on a large checkerboard where human and robotic players can be situated and play as game pieces within the game. With meaningful interaction occurring within this controlled setup, various aspects of human robot-interaction can be easily explored and evaluated such as interaction methods and robot behaviour. M. Xin and E. Sharlin, “Exploring Human-Robot Interaction Through Telepresence Board Games”, 16th International Conference on Artificial Reality and Telexistence, ICAT 2006, Zhejiang University of Technology, Hangzhou, P.R.China, Lecture Notes in Computer Science, volume 4282, Springer, November 29 - December 1st, 2006. M. Xin and E. Sharlin, “Sheep and Wolves - Test Bed for Human-Robot Interaction”, Work In Progress (WIP), ACM Conference on Human Factors in Computing Systems, CHI 2006, Montréal, Canada, April 2006.